Are you beginner? Are there beginners around you, if yes, I think it is worthy of possessing. 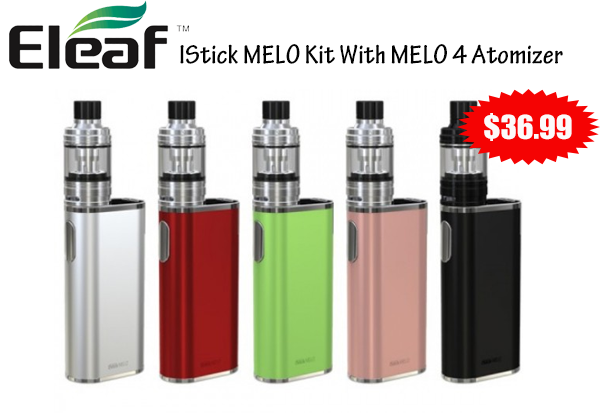 The newest Eleaf iStick MELO Kit consists of iStick MELO battery mod and MELO 4 D22 Atomizer. It features a long sustainable 4400mAh inbuilt battery that can be recharged efficiently and safely and can fire up to 60 watts, while its slim and compact profile enables you to effortlessly carry and store the device. The top of the iStick MELO is equipped with a 0.49' screen, allowing you to view all essential information with a simple glance even while vaping. 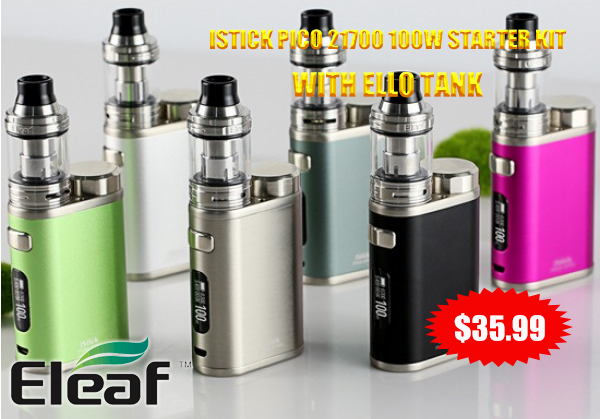 Eleaf iStick Pico 21700 100W Starter Kit is the upgrade version of iStick Pico Kit. Including Pico 21700 box mod and ello sub ohm tank. The iStick Pico 100W Kit is compatible with single 21700 battery as well as 18650 battery(with adapter), supports maximum output wattage at 100W, available in VW,TC modes. The Pico 21700 battery comes with a compact size for comfortable to hold and carry, features a large 0.91 inch easy-to-read OLED screen for vaping data.